It’s been a little quiet around here the past few days, sorry for that. But I have a fantastic reason for it… if you follow me on Instagram you know exactly what I’ve been up to. 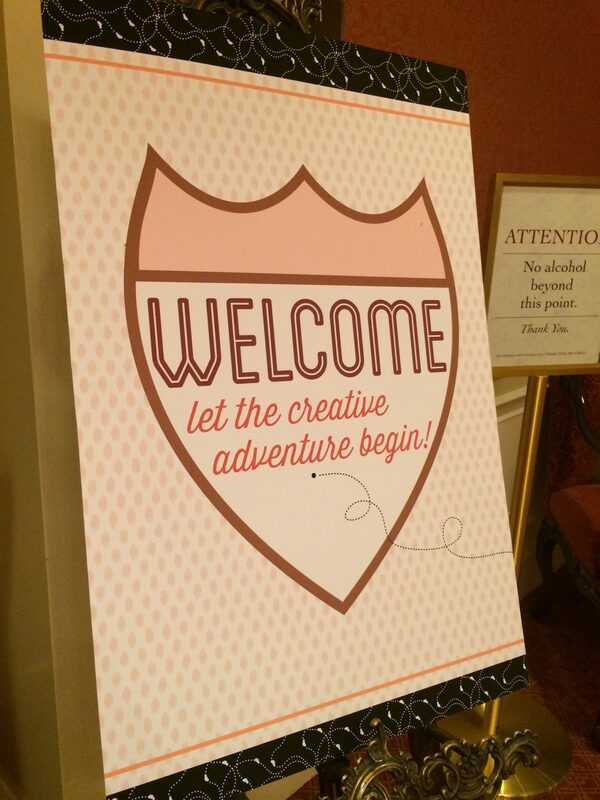 I was in Salt Lake City, Utah for the product launch of the brand new Cricut Explore™! You guy’s know that I’ve been a Cricut user for years, so when they invited me out for this launch I was over the moon. Of course, the first thing I did was calculate how many weeks I would be since the cut off for flying is 34 weeks. Luckily I was 30/31 weeks and cleared by my doctor the week before to fly! After I checked into the hotel and took a little nap it was time to check-in to all the Cricut festivities. 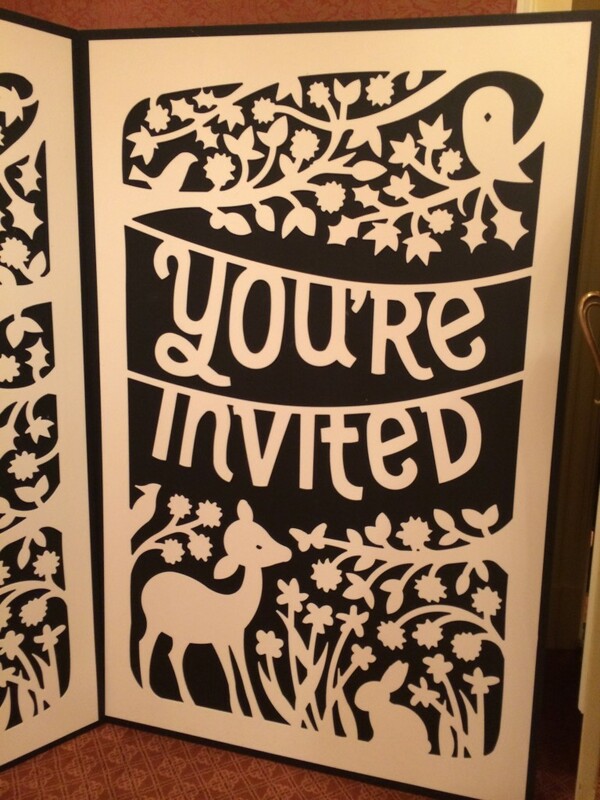 I walked up to the ballroom to see a life-size Cricut card. 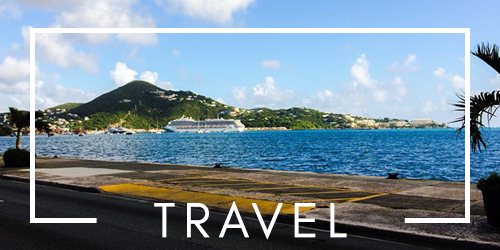 The theme of the event was all about destination and travel! 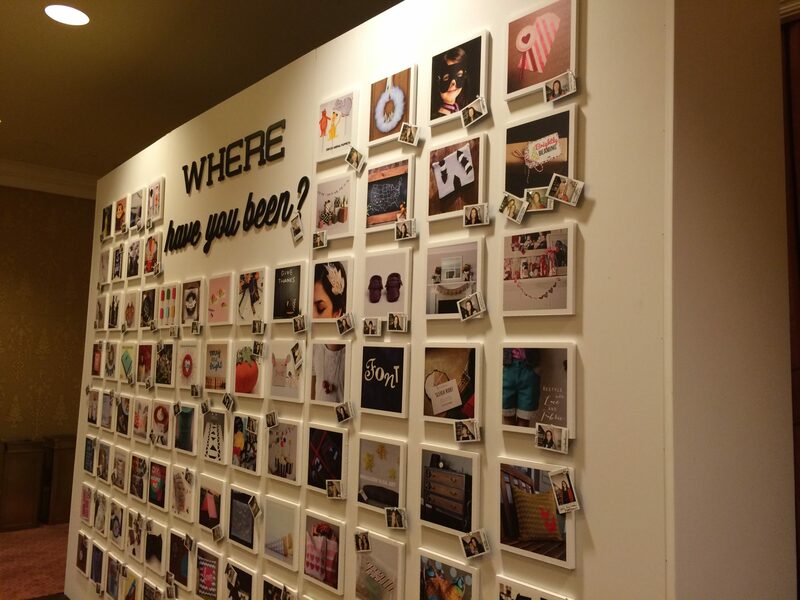 When I walked into the room I saw a huge wall full of large Instagram photos. We then were asked to find our Instagram photo and put our polaroid with it. 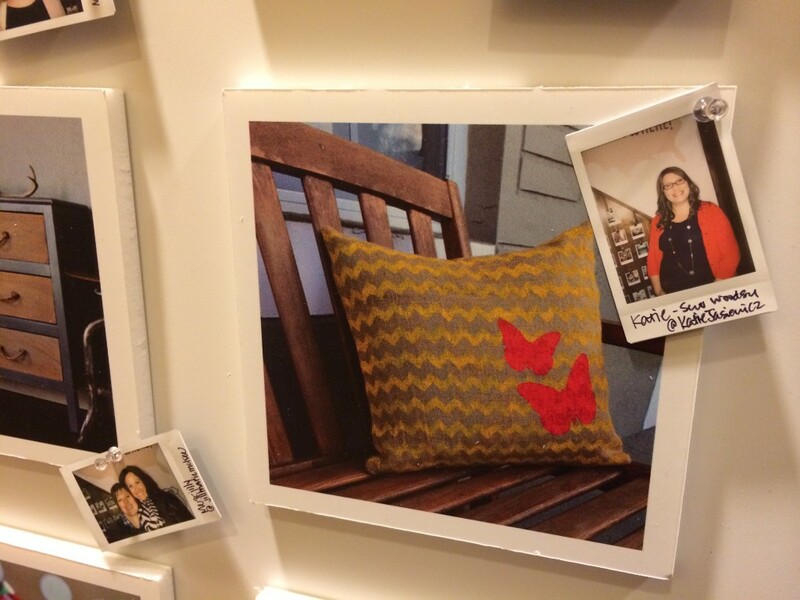 They chose my DIY Painted Spring Pillow as the Instagram photo. It was time for dinner and we walked in and we were all wowed! 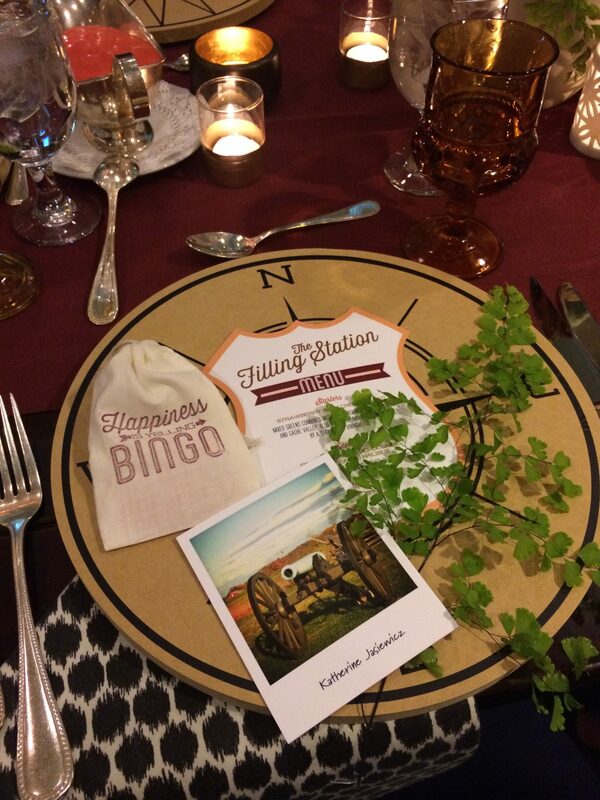 From the place settings to the tablescapes–it was all amazing. 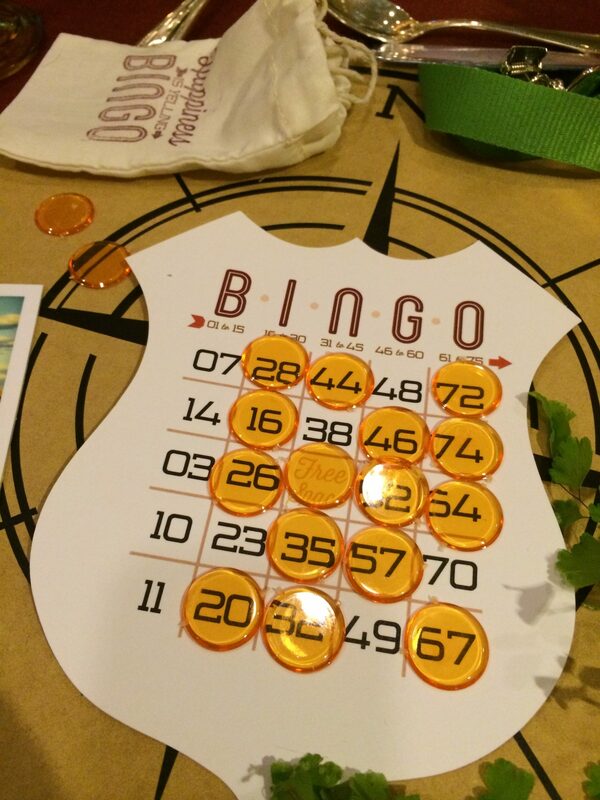 We started off dinner with a good old round of BINGO. Do you see how close I was to being able to call BINGO!?!! I had 5 different chances and all I needed was one more number! So close yet so far away. After dinner, Cricut CEO, Ashish Arora, took the stage. The moment we had all be waiting for. Jon and I had brainstormed for the past few months on what this big announcement could be. We both guessed a new machine a new machine and I guessed maybe being able to finally use JPG files. We were both right. 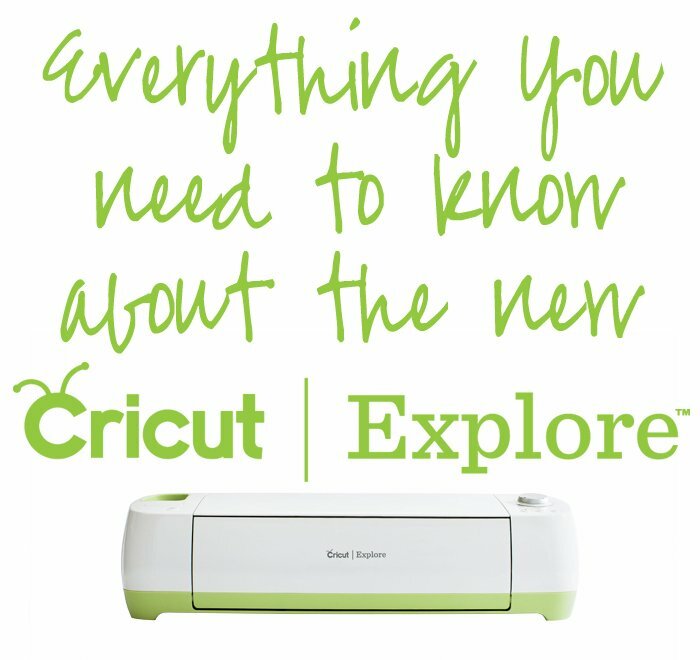 Without further ado, here is the brand new Cricut Explore™! Cricut CEO, Ashish Arora share with us on Monday night the video you just watched above. I’ve watched it at least a handful of times and every time I watch I still get goose bumps! 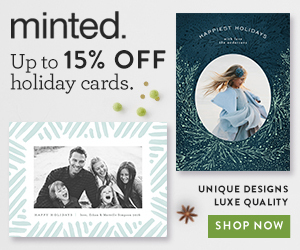 Cricut Explore™: from inspiration to creation in just a few clicks. During the keynote speech, Ashish stressed that we as a community would change the way DIY is done, and to be honest, I truly believe that. This new machine is revolutionary to the die-cut world. 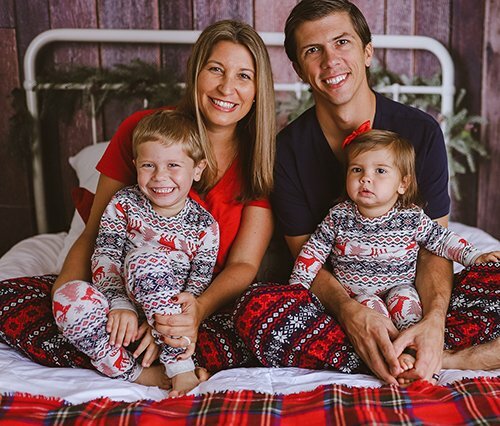 They have been working on the Cricut Explore™ and Cricut Design Space™ for over 2 years! They have worked and re-worked this machine (as you saw above) to make sure it is exactly what the end user will want and need. Easy, Precise, and Versatile. That’s what the new Cricut Explore™ is all about! The box comes with a “start here” packet. Project material samples are also included in the box. 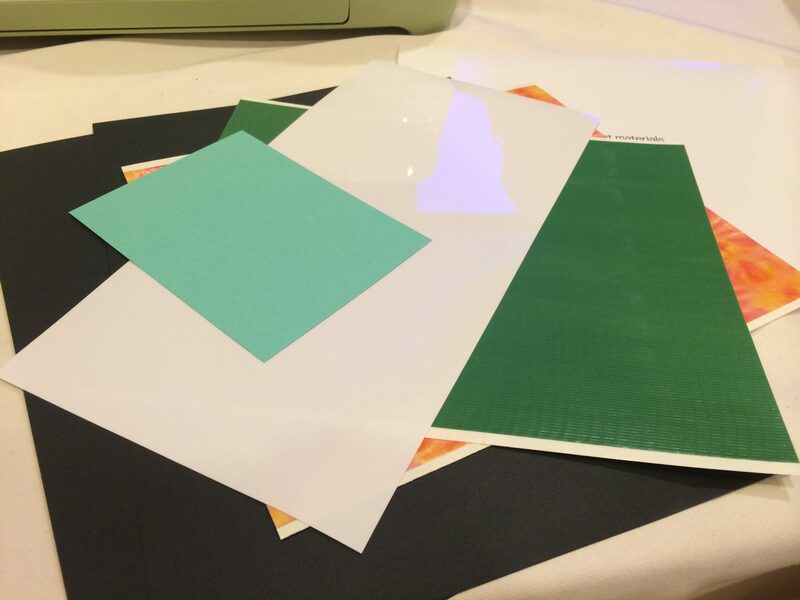 Cricut created 3 sample projects for each of those samples so the user can test the materials. The new machine even has an area where you can store your cutting blades and accessories after your done using them. They also have a spot on top of the machine where you can store your tools while your creating! Pure genius if you ask me. 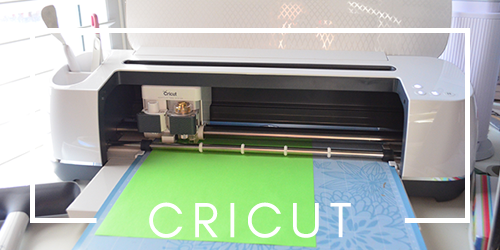 Cricut Explore™ cuts a wide variety of materials, including paper, cardstock, vinyl, iron-on, poster board and fabric, making it the most versatile electronic cutting machine for DIY projects. They had the butterflies shown above so that way we could see all the different types of things this new machine can cut. We got to listen to the amazing Anna Griffin talk about her business and her partnership with Cricut. For the afternoon sessions they had three different rooms with “make and takes”. My favorite room was the California room. We got to make Iron-On Vinyl beach bags! Here I am in the New York room with a few of my favorite blog friends in real life; Balancing Home, Number 2 Pencils, and A Pumpkin and a Princess! After a full morning of classroom training, I finally had my chance to give the new Cricut Explore™ and Cricut Design Space™ a try. One of the things I’m over the moon about is the fact that you can now upload PNG’s and JPG’s right into Cricut Design Space™. You can also upload SVG files. It was just decided yesterday that this option will be made free just like the JPG and PNG files are made free for all machine users. The first thing I did was upload some football logos from the internet and then I grabbed our alma matter’s logo. It’s so hard to find clothing and baby clothing at that. So I made an iron-on vinyl logo for a baby onesie for our baby!!! I’m so excited–the sky is really the limit now. 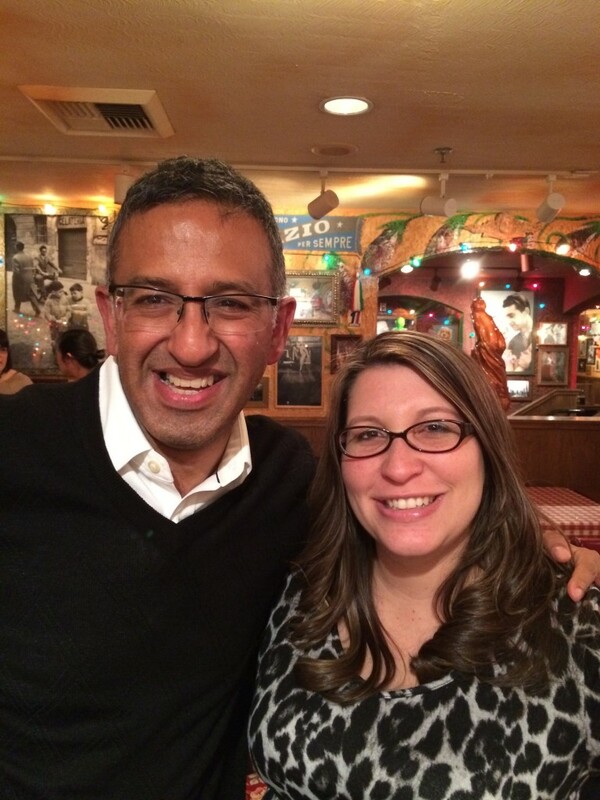 At dinner that night, I had the chance to speak with Ashish again and take a photo! So you might be wondering when the new Cricut Explore™ is available? March 15, 2014 and pre-sale begins on HSN! I’m not gushing over the new machine and software because Cricut flew me out, I honestly am in love with the new product and can’t stop smiling when I tell people about it! 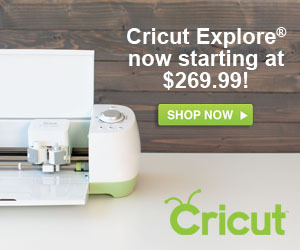 Will you be buying a Cricut Explore™ when they come out? Disclaimer: Their are affiliate links in this post. I received my trip for free; however, I was not required to blog about the event. As always I love Cricut and all opinions are my own! Awwww! I miss everyone so much! This machine is groundbreaking and I am so excited to be partnering with fantastic people like you, Katie! Glad you had a safe trip home! Thanks Jill. I know I had a blast and can’t wait to get my machine next month! The machine looks great, but in two years they couldn’t manage to proofread their booklet covers? 1.) Where do you use your cartridges on this machine? 2.) Can I plug in my Gypsy to this machine? 3.) 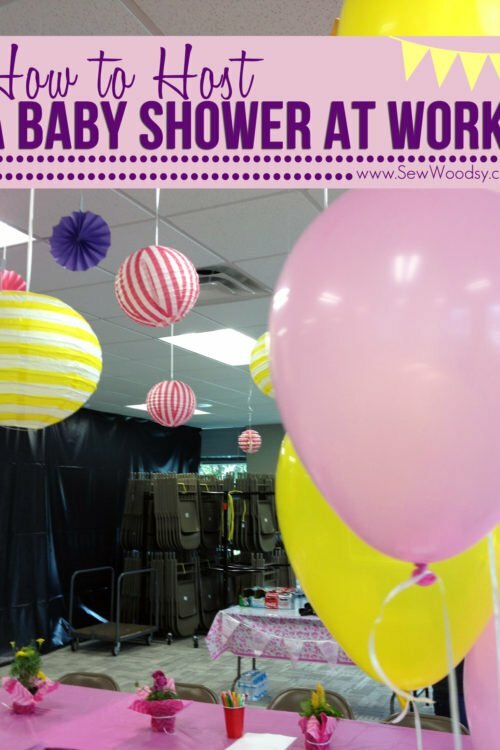 can I use Cricut Craft Room with the Explore or is CCR going away? 4.) Do you have to have the internet to cut? 5.) Once you download the images (.99) is it yours to keep forever and is it saved on your PC? 6.) here is my big question and it will take a little explaining. My mom and I share our Cricut stuff. She lives on one end of the state and I live on the other. I have a Gypsy, so when we buy cartridges, I download them on my Gypsy and upload to CCR and then give her the cartridge. I called Provo Craft and they said I could cut from 2 PC’s using the CCR……. So does the Cricut Explore allow two cutting PC’s as well? My mom and I both want to buy this machine but we don’t want to mess up our system. 7.) are they going to quit making cartridges? 8.) If you sign up for the 9.99 subscription, are the images yours or do you just get access to them for one month? 9.) Will the CCR link up the new Cricut Design software so I can use my cartridges in the new software instead of both? 10.) I saw a video that says we will be able to use our iPads to create….is this true? Do you know if there are plans to do this for CCR? Hi Tiffanie! Thanks for stopping by. I’m going to attempt to answer as many questions as I can (and what I remember from last week). 1. I do not recall if their was a place to plug in your physical cartridges into the machine. I believe you will need to link them into your CCR account using your old machine before you upgrade to Cricut Explore (although I could be wrong). 2. From what I understand no you cannot plug in your Gypsy–Explore only uses Cricut Design Space software. Not compatible with others. 3. CCR is not going away however only your cartridges linked in will transfer over. Not past projects. 4. Yes, I believe you need internet to cut. 5. Yes, once you download the image it is in your Design Space account forever. 6. Not sure if it will allow 2 cutting PC’s as well. I can look into this one for you. 7. They did not make mention of any new cartridges at the event. Only the new Cricut Explore and Cricut Design Space. 8. If you only sign up for 1 month for $9.99 (which btw I’m not sure if they are allowing monthly membership or only yearly), you have access to all the images/fonts for that month. If you make a project using that image and you save it in your new Design Space you will have access to that saved project for life. Does that make sense? 9. Yes, all of your linked cartridges from CCR will link over to the new Design Space. However, projects will not transfer over. 10. YES! This is true. They are developing a wifi key so you can use the Design Space platform on your iPad and cut wirelessly from it. You will also be able to use the same key on your computer so you won’t have to deal with pesky cords any more. I believe it will be about $40-$50 (not 100% on the price or release date). You should be excited–this machine is AMAZING!!!!! How can I get to my linked cartridges? I had assumed there would be a cartridge list. Are ALL images, even the ones from my cartridges, just lumped into the MY IMAGES section? Could you please verify for me that we WILL be able to use the cartridges we already own? I don’t see a place for the cartridges to plug into…..I also don’t see any overlay/mat OR any sort of screen….so I am assuming you can ONLY use the machine while attached to a computer and using CCR? Will there now be a monthly charge to use the CCR? Do you have to have WIFI access to enter the CCR? Also, you mentioned that they have decided that there will be no monthly fee for uploading JPEG’s and SVG’s which you already own, is this correct? I am a CTMH rep and the ability to continue to use our awesome cartridges that so many of us have invested in is crucial. Hi Carolyn–Thanks for stopping by. Here is what I know. Yes, you can use all the cartridges you already own. If you’ve linked them into CCR they will transfer over to the new Cricut Design Space (you will use the same username and password). I believe you can still use your physical cartridges too, but I’ll need to check on that again for you. Yes, you must have a computer with internet access to be able to use the new Cricut Design Space and Cricut Explore. You don’t need wifi access for Design Space–just an internet connection. They will be rolling out a wifi card to use with your iPad to design on the iPad and cut to the Explore wirelessly as well as this option for computer as well… should be available in March as well. You are correct on the no monthly charge for JPG, PNG, SVG File uploads as well as using any fonts you already own on your computer. Plus you get access to 30 free projects and some of the Cricut fonts & images. The $9.99 monthly fee is for anyone who wants all access pass to all the cartridges (minus the licensed cartridges like Disney, etc). Let me know if you have any other questions. But I have a lot of doubts too… cartridges, gypsy, CCR, cut without internet, blades and mats [are the same? ]… and the most important… price??? or tentative price? Hi Claudia. The price of the machine is $299 like some of the past models. The new Cricut Design Space is free just as is Cricut Craft Room. Design Space is only compatible with the new Cricut Explore.You can still use all your old catridges or if they are linked in CCR they will transfer over to Design Space since you will use the same username and log-in. You can use a 12×12 or 12×24 matte in the machine. They have new stronger blades coming out or you can use the old blades. Not sure about how its compatible with the Gypsy. Hope that answered some of your questions! Mrs Limestone is telling the truth, I have silhouette too, and I don’t like to use it, because the blades doesn’t last anything to me… I live in Honduras almost nobody know about these machines and I have to buy online all, the shipping to get here is really expensive!! and each blade for the silhouette costs twice that the cricut… and the cricut blades works fine to me, if the quality is improved… wow!!! thanks for that! Hi Claudia– I haven’t noticed a difference in the cut quality when using CCR with my cartridges linked. You can still place your cartridges in the machine itself. It’s right below the tool cup. I will tell you that the new more powerful blades will retail for around $20 but are suppose to last much longer and can cut much thicker materials like leather, very thin wood, etc. My advice to you is try to get a new machine when they are on QVC next month to help with the shipping cost because they will be bundling a lot of stuff with the machine (not sure exactly what but it will be a much better deal). I’m sure they will have them for sale on QVC online. Roatán is a tropical paradise! jajajaj I’m glad you know it. Sorry my ignorance, what is QVC??? another online store? I thought HSN was the one. The party looked like such a great time! Thanks for sharing. I’m very excited for the new machine, but don’t plan to purchase it at launch. I purchased the Gypsy right away and dealt with months of updates and all that jazz with all the bugs that had to be worked out. Then I purchased the E2 right away as well, and I ended up not liking the way I have to add spaces to place images on the mat. This time I’m going to wait and let everyone else be the guinea pigs. I do truly hope it works as promised and that I will want one in the future but I’ve learned there are frequently issues at launch with this company and it’s products. Fingers crossed that it’s amazing. I do love Cricut products and have fun making a variety of things with my machines. Hi Amber–I totally understand where your coming from. I think any new product can have its faults and needs time to work out the kinds. I truly believe that Cricut has really thought out all the kinks and that it should be ready to go during launch time! This machine looks so cool. So cool! I’m glad I resisted, held off, and exercised restraint for so long. I really wanted not to have to buy cartridges! Love its compact design, too. I can find room for that. It looks great! I’m amazing at all the materials it can cut! Agree Leanne, I can’t wait to try cutting other things than just paper and fabric!!! Will you be able to design and cut from an IPad? Hi Laurie–yes! They will be selling a wifi USB that will allow for wireless connection to the new Explore and the new Design Space will work on an iPad! This looks great! My mom has a Cricut so I’m going to share this with her. Oh Amy your mom is going to be in heaven with the new Cricut!!! Hi Katie — I was wondering if you have any experience using the Cricut to cut aluminum (I have a piece that’s 29 gauge). I’m still a newbie to what Cricut can and cannot do. The new release looks intriguing. I may consider upgrading. Hi Suzy–the old machines can not handle aluminum. The new machine should be able too if it’s a thin piece, but don’t hold me to that 🙂 It can cut over 50 different types of material. I can check into this for you. I would like to cut thin copper art and craft thickness.Can this Cricut handle thin crafting metals? Where can I find out what materials it cuts? Can the design space use any image and cut it? Also does it emboss and make folding line’s for boxes etc? 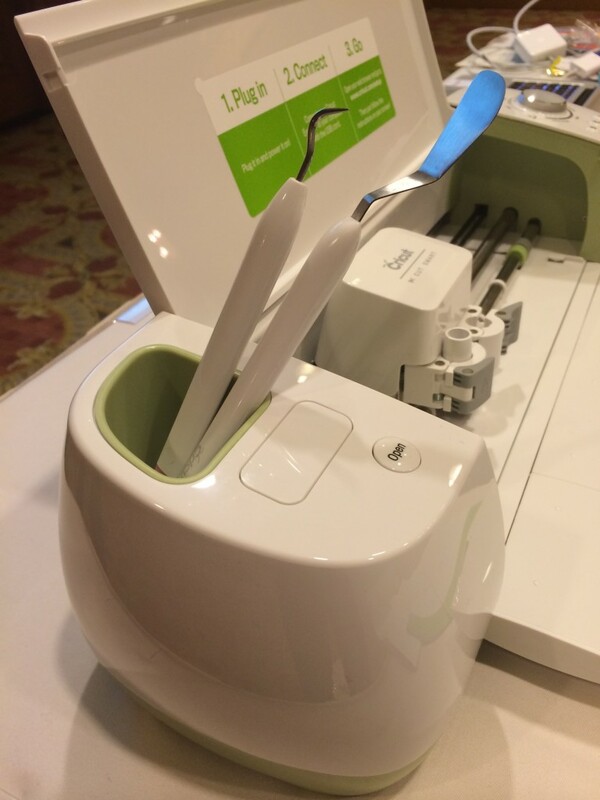 Hi Katie – Do you know if the new blades can be purchased and used in the Cricut Expression? “The only way to use font is to Add Text with the text box. If she wants to move the letters individually after she has typed in her phrase, she can ungroup to letters and work with each individual letter. She can also use as many text boxes in the design as she’d like so she can use different fonts in her project. You can also weld fonts in Cricut Design Space. If the text has layers then ungroup the layers, move the letters together and the weld option should work. If she needs help please have her give us a call and we will walk through it with her. We do have a video called Working With Text 1 that may be helpful. It is on the Official Cricut YouTube page. I’ve included the link below. I have the new Explore and am just beginning to use it. So far it is AWESOME!!! But I am wondering why I cannot find blades for the machine without buying the housing along with it which is almost $30!!!!! I don’t think the old blades work. I was told by a rep that they are made from a different material than the previous ones so have to purchase ones specifically made for the explore.. Please help? Hi Patricia–congrats on getting the new Explore. Yes, the old blades work on the new machine. 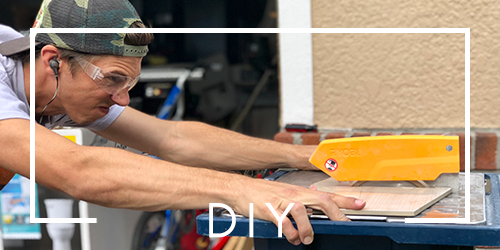 The new deep housing blade is what is $30 and you’ll need that to cut the thicker materials like wood, leather, metal, etc. I’ve also put your question in to my Cricut concierge rep in case she has a different answer for you. Thank you for all the info! I’m waiting on my explore to ship from HSN ( extended delivery). Can you tell me hoe to get the football logos to download to your computer please? Thank you!! Hi Lisa–congrats. 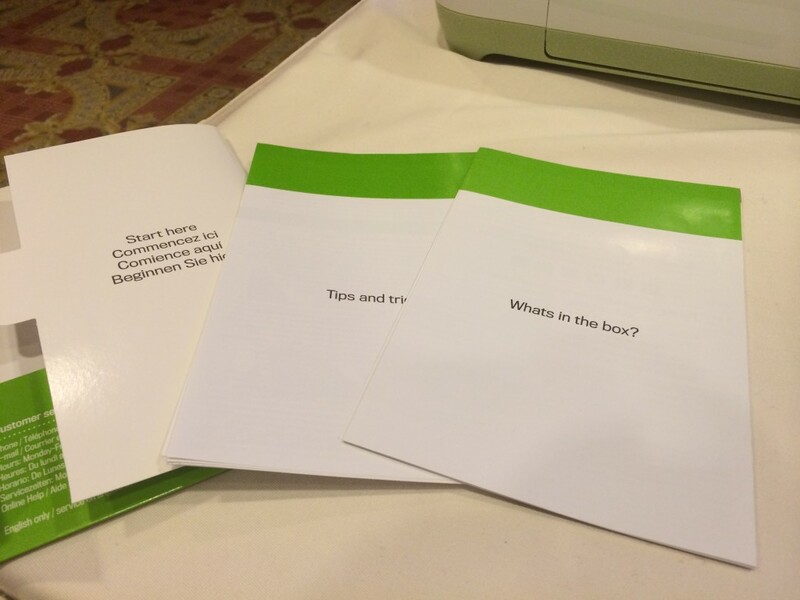 You are going to LOVE your Cricut Explore. I just made a tutorial on how to import jpg files. You can find my tutorial here. Now so happy with my new Explore. Ready to return it to the store. I have all my cartridges linked to my Gypsy and when I went to use them on my New Explore was unable to do so as it said I could only load them to one system, which is on my Gypsy and the Gypsy is unable to be used with the Explore. Is there a way I can use my cartridges??? Hi Katie!!! I LOVE my new Cricut Explore!! I am looking for a couple of specific fonts and I can’t seem to find them. I’m hoping you can help! I need a good monogram font, Like KK, and a circle font that has become so popular! Can u help me find these please?? to click on when selecting your machine setting. I am able to get into the CCR but can not cut as it doesn’t recognize my machine. Advice would be appreciated. Hi Sue, Cricut Explore has a brand new free software program called Cricut Design Studio. If you had a previous Cricut Craft Room account you will use the same username and password. If you linked cartridges those cartridges will appear in Cricut Design Studio once you log in. However, your past projects will not transfer over in Cricut Design Studio. I was a little bummed about that. Hope that helps answer your questions. Happy crafting! 1. Can the pen adapter be temporarily removed to use a fatter pen? 2. Some of the cricut metallic pens are dry. Is there way to revive them instead of returning them? I am completely new to Cricut and have never used this type machine before. Where should I begin? If you don’t have the Explore I would high suggest you spend the money and invest in this machine. It can do so much more than the past machines. Then after that–just start playing around with it! The creativity is endless! I just ordered mine yesterday and the wi Fi doohickey, it won’t be here for a week and I’m on pins and needles for it to get here! Hi Deena, I don’t but I’ll try to get one created. Basically you update the same image multiple times, erasing the different pieces and parts and labeling it (red, yellow, orange, etc). hope that makes sense. ads for the Cricut Expression and the Expression 2. Can you tell me what the differences are, maybe compare the features of each? Hello, I have a Cricut Expression and a Gypsy that I love to use. I have a couple questions: Can I design on my Gypsy and plug into the Explore and cut? I love to take my Gypsy on trips and to the lake on the weekends and design phrases and such then be able to cut them when I need them. Also, can I link my Gypsy straight to my computer and download my cartridges to Cricut Desgin Studio or do I have to place each cartridge in the Explore individually to link to CDS? Hi Sheryl, I’m not sure but I’ll find out the answer for you. I do know that if you have an iPad you can design on that and cut to your Cricut Explore. Hope you can help me out. I’m a cricut lover, I have the mini, expression1 and the gyspy. Now I have the explorer, most of my cartridges are link to gyspy. How do I link my cartridge from the gyspy to explorer? Can I still use the gyspy with the explorer ? What’s the difference between cricut design studio and cricut design space. Oh great question.. I have no clue. Gonna email my Cricut customer service contact in hopes she can help you as far as cartridges go. 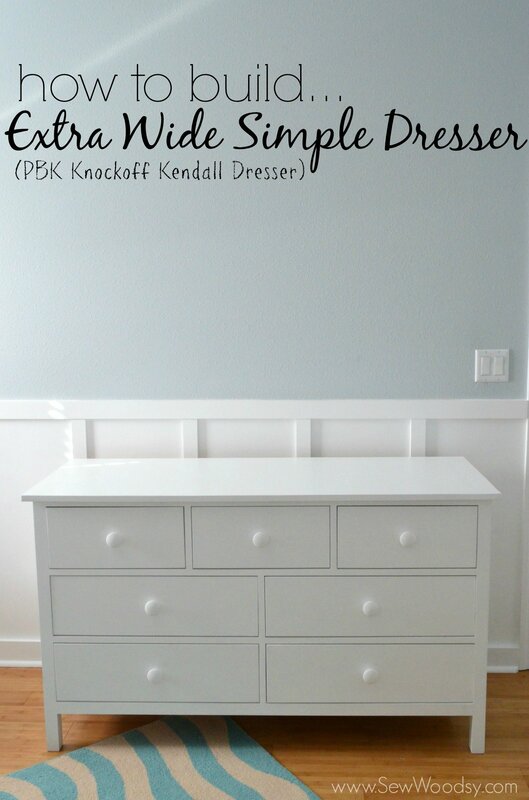 CCR (Cricut Craft Room can be used on all your past Cricut products). Cricut Design Space can only be used with the new Explore and you can upload your own images and use all your own fonts right from your computer. You must have internet access to use Cricut Design Space. Hope that helps. I’m super stoke about getting this machine. And all the neat things it can do… I’m getting a explore on Friday! The 9/19/14. I am wondering if I buy the boothtooth can I connect to the explore to say print from a distance from my laptop? And from an android tablet. I don’t own any apple products. Can you give me any advice on some creative ideas to start with this product? This will be my first cricut machine or any type of machine at that. I’m very creative and can’t wait to try it out. Hi Jennifer. First off, congratulations. You are going to love this machine. Make sure you give yourself plenty of time to really just learn and play around with the machine. 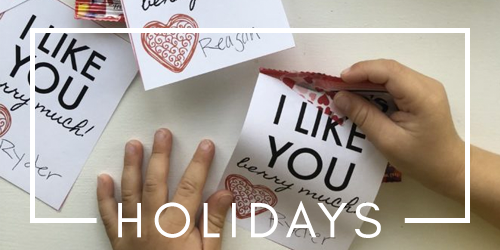 Try making a few cards, maybe a fun vinyl project, or make some sort of clothing with the iron-on vinyl! I’m not super familiar with the new bluetooth connection, I do believe it’s only available for apple products right now. I’m hoping to get my hands on one soon so I can start playing around with it. I received a Cricut Explorer in August for a birthday gift. I love it–until today! I accepted the update, went through the configuration process for Print and Cut and now my Cricut won’t cut anything except pre-designed projects–What happened? When I try to cut a customized project I get a message that the cut marks can’t be seen. This doesn’t make sense to me, since I went through the calibration process and completed it successfully. Is there a way to turn off the “print and cut” feature? 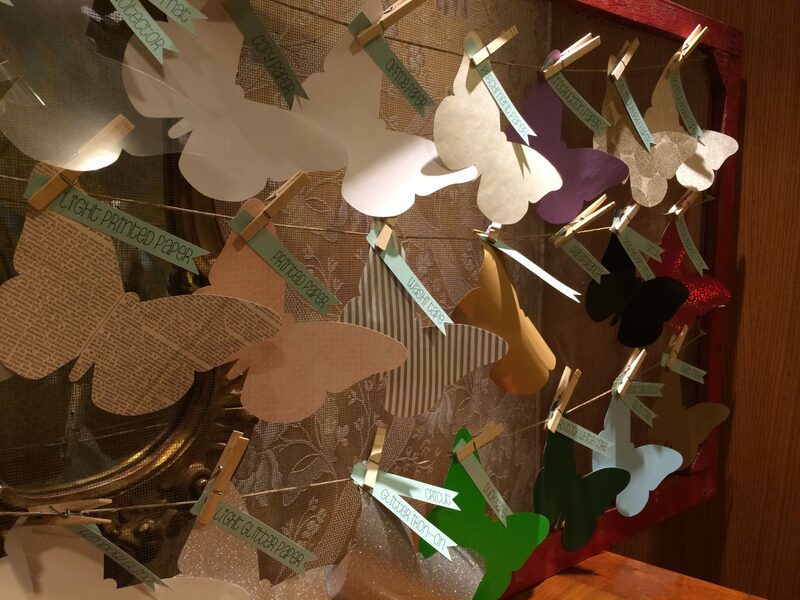 My son and daughter-in-law are having a baby shower on Saturday and I’m making the decoration–now I’m at a stand still, please someone HELP! PLEASE…..if you have found out anything let me know! I really don’t want to call Customer Service but I am having the same issue. I do not want to print, I just want to cut!! Hi Amy. Hope you figured it out by now. But if not this is what I have found to work for me. You’ll want to highlight the item you want to cut in the side bar, then click the unflatten button. Click on the printer button and you’ll see the other 3 options–select cut! Hope that helps! I am so hoping you can help me. I am 6 months new to Cricut with the Explore and I have been using successfully until now. Am in the middle of creating invitations for my Daughter’s Baby Shower and something has happened to the cutting blade/housing (not really sure). I replaced the blade and now the blade retracks so far into the housing that you can not cut. No blade sticks out. I have been to every Michaels, JoAnn’s and AC Moore within 50 miles around for 4 hours yesterday and can not find a new housing not even on the Cricut website. Deep Cut housings are available but no housing. Do you think it sounds like a housing problem? I seemed to replace the blade per the instructions on the website pics ad then have removed and replace several time to try and fix it. HELP. I am so frustrated!!! Hi Stephanie–sorry it’s taken me so long to reply back. I hope you got this resolved. I’ve never had that issue nor do I feel like I have any good answers for you… sorry!! You Know how to cut felt with the cricut explore? I need a special matirial? Hi Anglea. I’ve yet to cut felt with the Explore but I’ve had friends who have been successful doing it. You have to buy the expensive stiffer felt. As far as setting goes I’m not sure. This is something you’ll have to play around with. I would imagine maybe fabric+ setting? That would be a good start. Will the Explore work with any computer or does it have to be an Apple Product? Can you cut without your computer and the web as you do with Expressions 2. I am waiting for my Explore to come but after reading some of these posts I am a bit concerned. I have all my cartridges linked to my Gypsy so how can they be uploaded again? Hi Christine, the Explore works with both Mac and PC. You have to have internet access to be able to access Cricut Design Space. They do sell an iPad key so that you can work on your iPad and cut. I’m not sure about the Gypsy question. I’ll email my contact and see if she can tell me. This is a question that has come up time and time again. WILL IT CUT BEER CAN METAL? Good question George. I know it will cut thinner metal… maybe? But I haven’t tried so I can’t guarantee. Hi Bob–it’s a new feature and it’s defaulting to this. You’ll want to highlight the item you want to cut in the side bar, then click the unflatten button. Click on the printer button and you’ll see the other 3 options–select cut! Hope that helps! I just purchased the Cricut Explore and am very happy with it. I am new to this and saw that you uploaded images and then used the iron on transfer to make baby fun baby items. I can’t figure out how to take the image and then cut it to the transfer without performing the print and cut. Can you help me? Hi Angie, You’ll want to highlight the item you want to cut in the side bar, then click the unflatten button. Click on the printer button and you’ll see the other 3 options! Hope that helps! question…I just got a cricut explore for my birthday. I am familiar with the silhouette because I have used my neighbors. this seems like a better machine but…can I use designs I downloaded for silhouette on the cricut? Hi Carolyn. Congratulations on getting the Cricut Explore. You are going to love it. I’m not familiar with the silhouette at all, but if it’s an SVG file then yes, you can upload the file and use it on the Cricut Explore. I just purchased a cricut explore in december and haven’t gotten it out of the box yet. I’ve never had a dicutting machine. I was wondering if I could cut out a fingerprint design in vinyl. Would I upload the file as a png or jpeg to make it so it can be cut out? I am debating on buying the Explore. The only “hang up” I have is I am really needing to cut in the font “Monogram KK”. Is there any way to import this onto the Explore? I know cricut doesn’t have this font. Also, what is the largest cutting area? Thank you so so much! Hi Kaylah, The new Cricut Explore with (free) Cricut Design Space allows you to use all of your own fonts. If you own it on your computer you can use it to design with! The largest mat they have is a 12×24. Hope that answers your questions. Hello I JUST BOUGHT the Cricut Explore and it will not even turn on the main light is red and the Load button is lit up and the needle light but the power button will not turn green! I can not figure out how to reset it but online only gives me options to reset other Cricut products! I just emailed my customer support contact at Cricut. If I don’t receive an answer they will email you directly. So sorry your having challenges. Once your machine is up and running you’ll love it!!! Would this machine be able to cut designs on a piece of plastic (a square cut from a water or pop bottle?) It would be a flat piece of thin plastic…. Hi Linda, I don’t know but I’m finding out the answer for you. Hi there, can you tell me how to calibrate PEN and blade? Print and Cut works great but my pen is way off. Thanks! Hi Gayle. I’m sorry I don’t have any experience on this… I would suggest calling Cricut support! Hello, I just purchased this and was wondering how to cute an image from the center of the page? Hi Stacey, I’m not sure if I understand your question. You can simply drag and drop the image to the center before your about to cut. Hope that is what you’re asking?!?! Hi Judy, not sure–I’ve never had that happen. I would definitely contact Cricut customer service if you haven’t done so already. Question, My sister lives in another state, and has an older cricut and cartridges. I’m all new to this, and just received my New Cricut Explorer One. I want to know if I borrow one of her cartridges that she uses on a regular basis, and link it to my machine, can she still use it on her machine when I return the cartridge? Hope you can answer this for me. I work full time, and cricut customer service is only open to 6 p.m. which doesn’t help me. Thanks. Hi! Yes you can do that; however, if your sister ever upgrades to a new machine and has access to Cricut Design Space she will not be able to link her cartridges to her account. She would have to manually put them in every single time–which is a pain once you have access to Design Space. So ultimately you can only link one cartridge to one account and then after that you must use it manually. I personally would pay the $9.99 a month to have access to all the fonts and cartridges. Plus you can now upload your own images and system fonts. Hope that helps answer your question! Hello, I was wondering if anyone knows the watts for the explore? Trying to do a craft fair and I have a generator that is battery operated. Hi Michele–I don’t. Maybe call Cricut customer support! Why do some letters like o p d b when welded the middle doesn’t cut out of these letters sometime? I have deleted and started over but it didn’t help. The d was still solid in the middle. Hi Paula, I’ve found that you have them to close together that’s why the middles weld close. Try spacing it out a little more and you’ll see that they won’t weld the middle. It took me a while to figure that trick out! Good luck! is there any place we can go too and see pictures of what designs are included with the cricket air? Hi Linda, you can create an account for free on Cricut Design Space and then browse all the options. No pictures will come with the air you will need to purchase the monthly subscription! Now my only complaint, is the web only software access. Which means, If you don’t have internet service, or Cricut ever decides to stop supporting it’s web site, you’ll have an expensive paperweight. I would like to see a stand alone Software, that loads onto my computer, so I can run this machine and cut my designs, without accessing Cricut website, or Logging onto the internet. That would be awesome, and I hope Cricut gets a downloadable software upgrade soon. This would have been a deal breaker, had I known this before I purchased the machine. I’m happy with the machine, but not the lack of stand alone software to run the machine. I found this on a post on cricket machines. can you explain this. I would hate to spend this kind of money for a paperweight. Hi Linda! Cricut recently launched a non-web based app so you can design without the use of internet! If you subscribe to their email list you should have received the email! Definitely worth checking it out! I did not catch where you can use older cartages?? Hi Lisa, There is a hidden (very sleek) slit where you can place your older cartridges in the machine. Then when your in Cricut Design Space you can use your images/fonts from the cartridge and not be charged! New to the Cricut world. I’m excited to get started, I created an account and paid for the full first year of use of Templets, and such. I don’t know where to find the basics instructions. I have lots of questions, Example: the Mats have a clear cover does that stay on when cutting out your project. Do the color sheets go under the clear plastic, and won’t the machine cut the clear sheet is that ok? I really wish this machine came with a How to use for us first-timers. A step by step project. 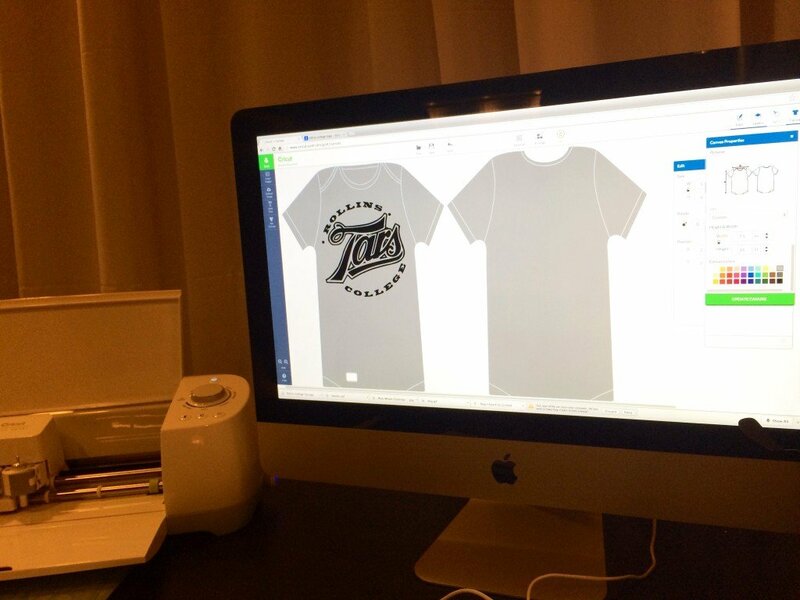 I want to make Iron T-shirts, I’m not sure how this all works. Any direction or help is greatly appreciate. Hi Joanne, thanks for your comments and sorry I didn’t get back to you sooner (on vacation). You take the clear protective sheet off the mat and place your paper/vinyl/etc on top of the sticky mat. Do not put the plastic back on top of the material plus mat. For iron-on check out all my projects here. I try to show each project step-by-step. Feel free to email me at sewwoodsy@gmail.com if you want/need any other assistance! 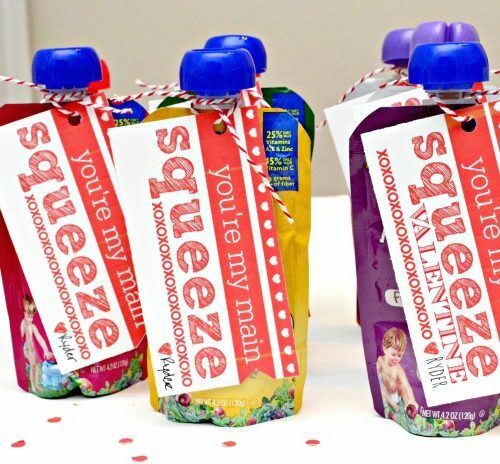 Can the Cricut Personal cut vinyl? Hi Lynne, All Cricut’s can cut vinyl. The newer machines have “smart” capabilities meaning you don’t have to set pressure. 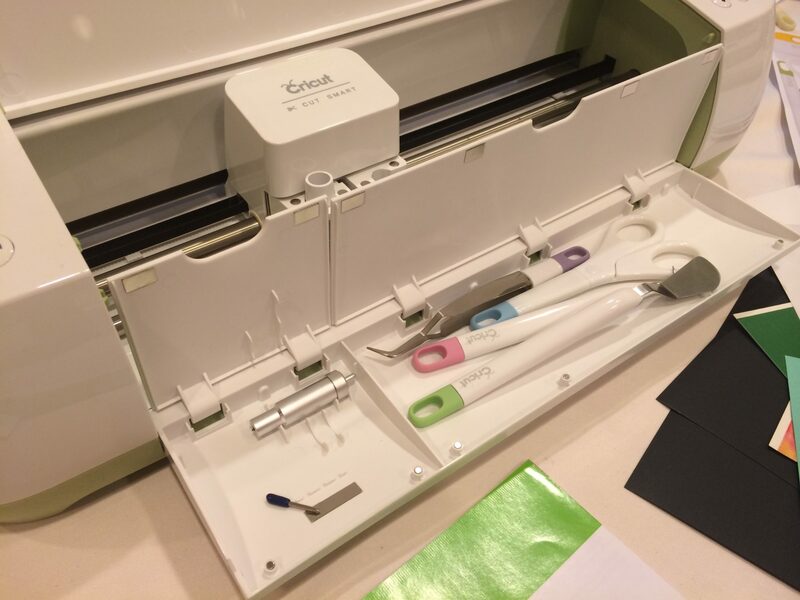 The Cricut Personal you’ll have to learn what settings you need to cut specific material on!